Living Legend Sachin Tendulkar - A site from a die hard Sachin Tendulkar Fan: Sachin Tendulkar Celeberating 36th Birthday. 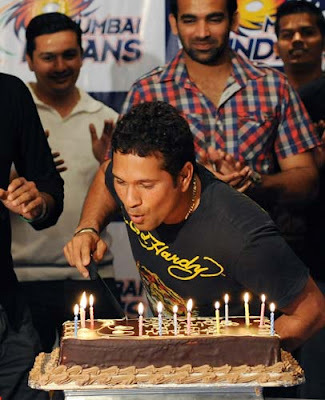 Sachin Tendulkar Celeberating 36th Birthday. Sachin Tendulkar at a surprise birthday party in Durban early April 24, 2009. Harbhajan Singh , Zak , YuviRaj Singh and Chairman -Kris Srikkanth joined the party. Sachin Tendulkar lifts candles off a cake . 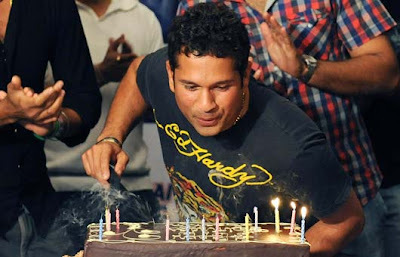 Sachin Tendulkar blows out candles on a cake . Tendulkar celebrated his 36th birthday with friends and teammates. 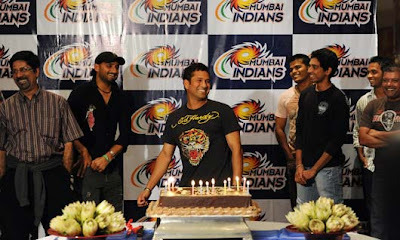 Sachin Tendulkar blows out candles on a cake . 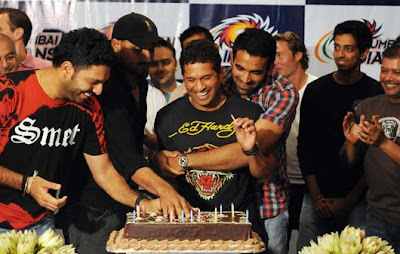 Sachin Tendulkar has cake smeared onto his face by teammates Yuvraj Singh and Zaheer Khan. Sachin Tendulkar addresses media representatives.